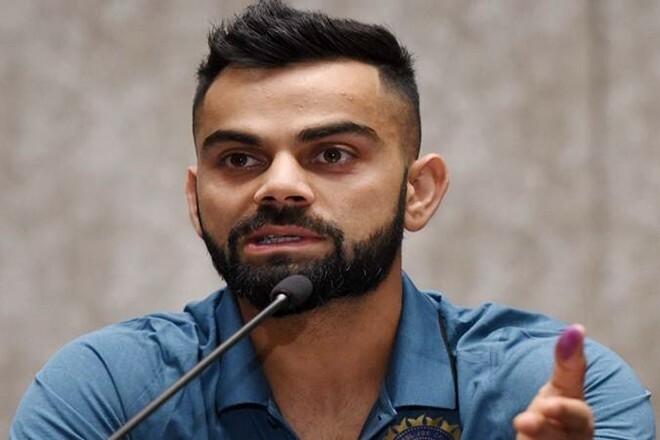 New Delhi, Feb23: India captain Virat Kohli on Saturday said that his team will "respect the decision of the government" with regards to playing Pakistan in the upcoming World Cup in the wake of the Pulwama terror attacks where 40 CRPF personnel were martyred. There have been calls to boycott the June 16 World Cup face-off against Pakistan at the Old Trafford in the aftermath of the dastardly attack but the Indian cricket board has not taken a call, putting the ball in government's court. "Our stand is simple. We stick by what the nation wants to do and what the BCCI decides to do and that is basically our opinion," skipper Kohli said on the eve of India's opening T20 International against Australia on Sunday. "Whatever the government and the board decide, we will eventually go by that and will respect that. So that is our stand on this particular issue," Kohli added. "Our sincere condolences to the families of the soldiers who lost their lives. The Indian team is really shocked and sad about what happened." Kohli's stand is pretty similar to what chief coach Ravi Shastri echoed in an interview to a television channel where he said that the team will "accept whatever decision that the government takes." "It's entirely left to the BCCI and the government. They know exactly what is happening and they will take a call. We will go by what they decide," Shastri said.